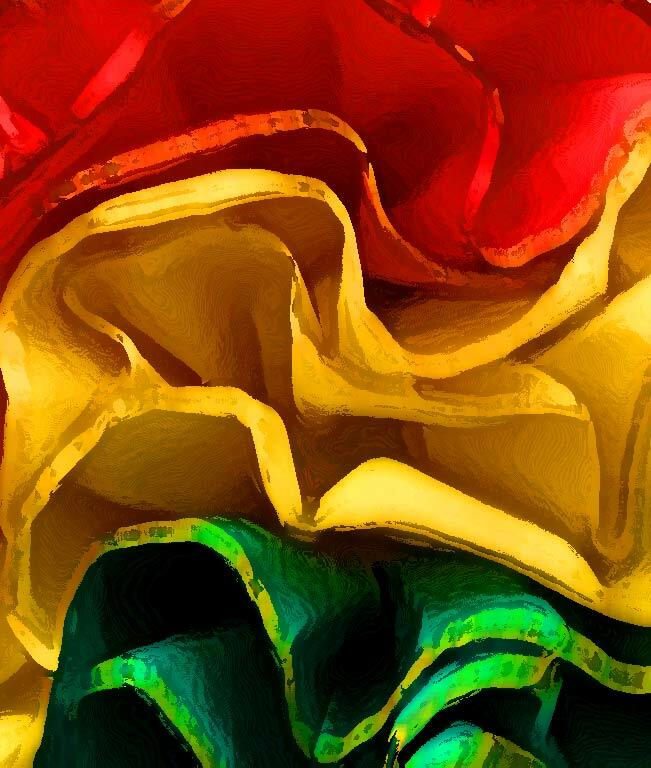 Bolivia is the poorest country in South America in part because it has no sea port. 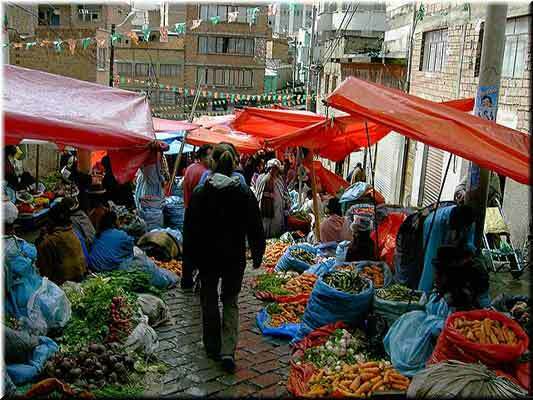 Additionally, the neo-liberal policies aimed at reducing inflation have failed, even further weakening Bolivia's underdeveloped economy. 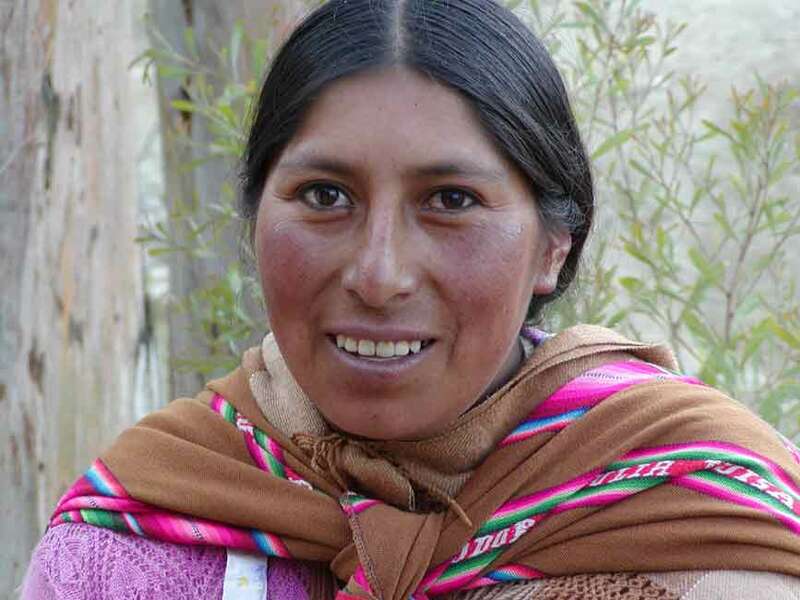 34% of of all Bolivians live on less than $2 a day. The probability of a Bolivian child dying before reaching 5 years of age is 10 times that in the US (80 deaths per 1000 vs. 8 per 1000). 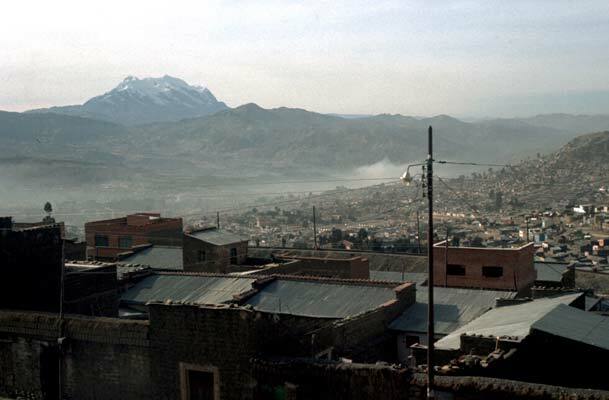 million including the poor suburbs of El Alto and Rio Abajo (site of Wawanakan Utapa). about an hour's drive south of La Paz. 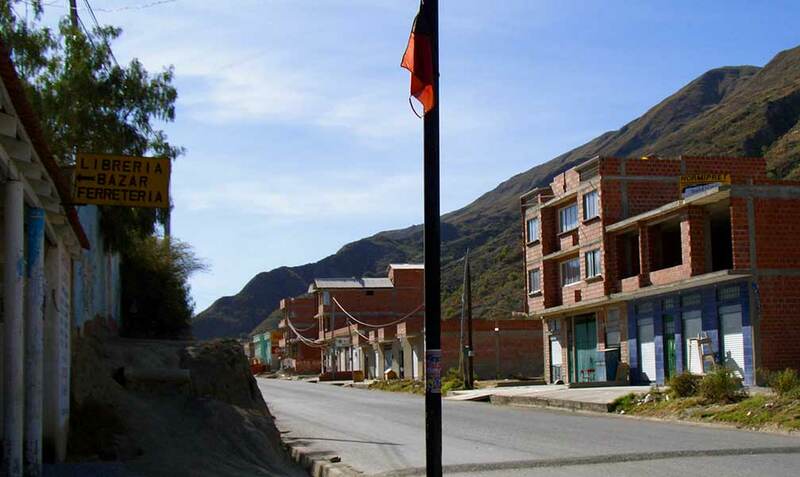 Wawanakan Utapa is located in the Rio Abajo river valley -- high in the Andes mountains.-- in Huajchilla, a small town (pop. 600; elev. ~10,000 ft.). 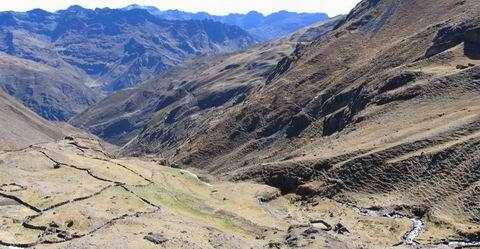 Huajchilla is an hour’s drive south of La Paz, Bolivia, over poorly maintained mountain roads. 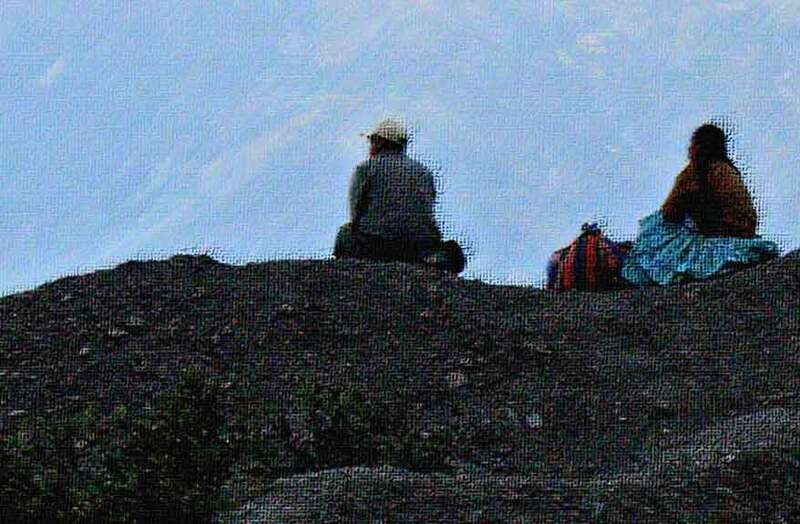 Wawanakan Utapa children come from Huajchilla and the surrounding 49 separate towns within Mecapaca county (pop. 9,566). 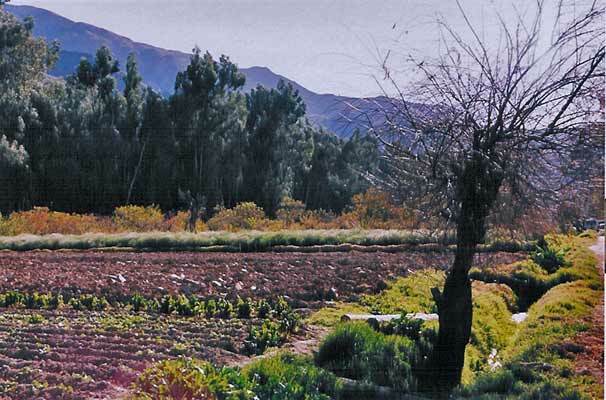 In Mecapaca generally, less than half of the land is suitable for agriculture, and only ~6% of even that land has access to irrigation. Farmers must employ a rotating crop system where land is used for only 3 years and then must lay fallow for 5-9 years before being used again. Only the irrigable land is used every year. Furthermore, crops on the shores of the river are often lost to floods. Land not being used for agriculture at any one time is used for grazing sheep, cattle and pigs. 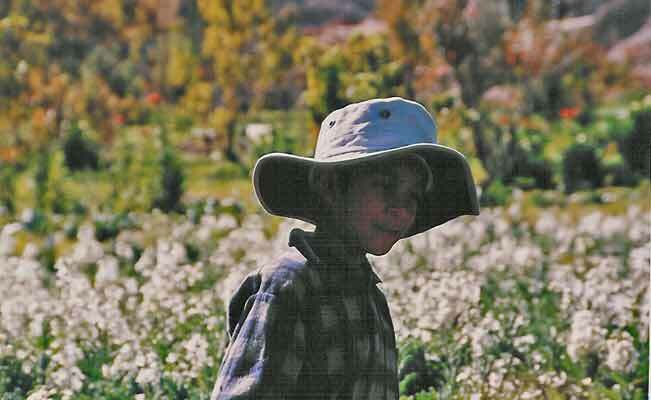 The main crop that can grow at this altitude and climate is flowers. Those leafy vegetables that can be cultivated at all only grow in Spring, so this region does not produce enough edible plants to be self sufficient. 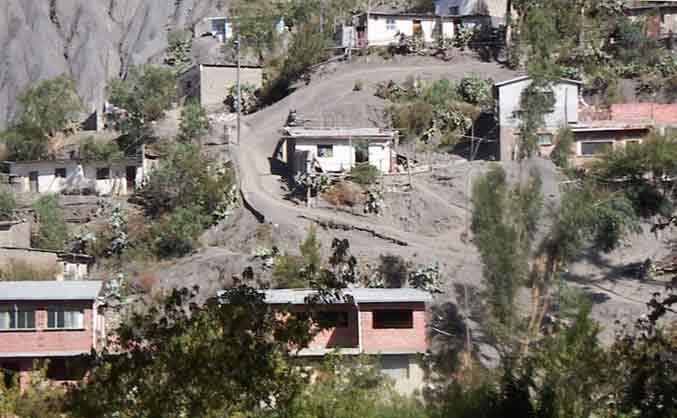 As a result, the Huajchilla families must travel all the way to La Paz to sell their products and then buy the rice, oil, sugar, and potatoes to feed their families back home. As in many farming communities, the region’s welfare for an entire year can be jeopardized as a result of an early frost, or a late hail storm. 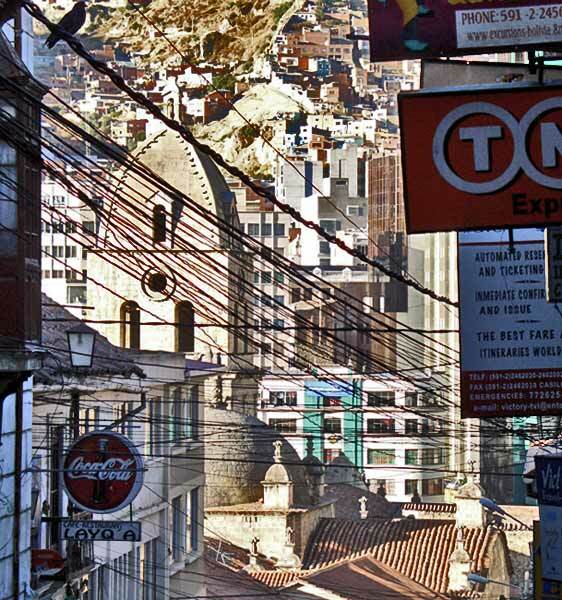 More Bolivia, La Paz and Huajchilla Photos:. served by Wawanakan Utapa . 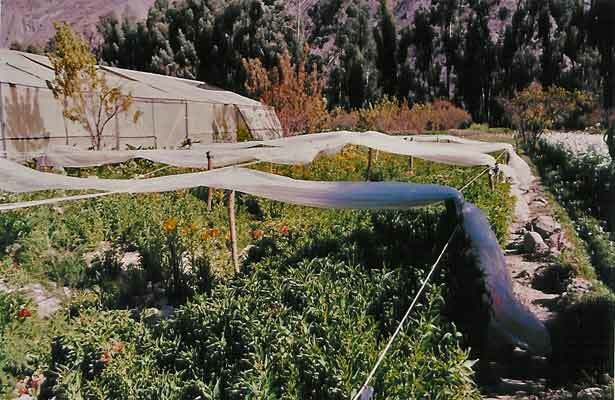 Tarps are used to combat frost damage which often threatens Rio Abajo crops. 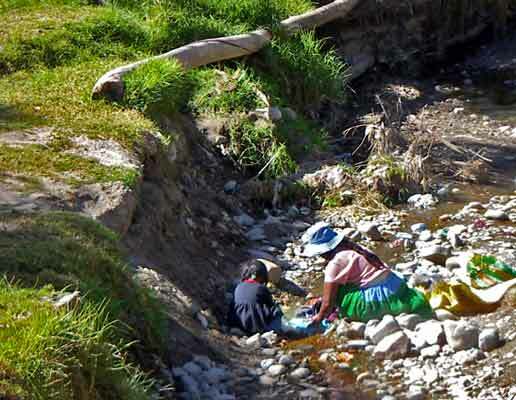 With no running water, residents of some Rio Abajo towns must wash clothes and drink contaminated water from the Chuquiapu River. 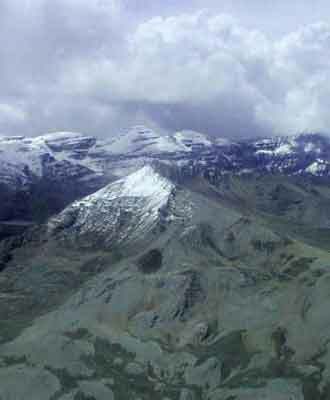 The Andes Mountains surrounding La Paz and Rio Abajo reach 16,000 feet, comparable in altitude to the Himalayas. 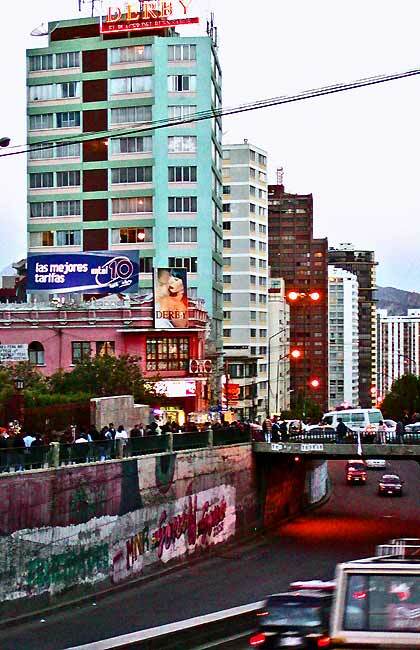 A busy La Paz street.